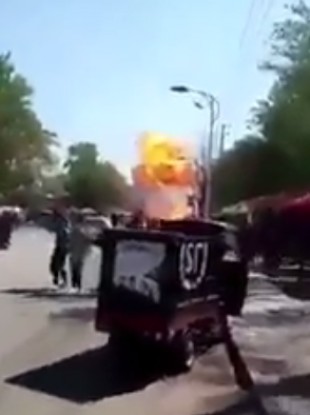 A screengrab of a video posted to social media which shows the moment of the explosion. AN EXPLOSION HAS rocked a kindergarten in eastern China, killing at least seven people and injuring dozens, authorities said, as state media published images showing bloodied and unconscious victims. Email “Seven killed, dozens injured after explosion in Chinese playschool”. Feedback on “Seven killed, dozens injured after explosion in Chinese playschool”.